Ksenia Rychtycka's debut collection Crossing the Border illuminates moments of tragedy and triumph, personal discovery and disillusionment, spotlighting characters who, in one form or another, learn to move forward with their lives. Stymied by the lack of progress and change in post-communist Ukraine, Valeriy the artist finds he is unable to paint. Anna is a lonely woman who attends strangers' weddings to offer a curious gift. The arrival of a wayward parakeet during the 2004 Orange Revolution forces an elderly woman into action. 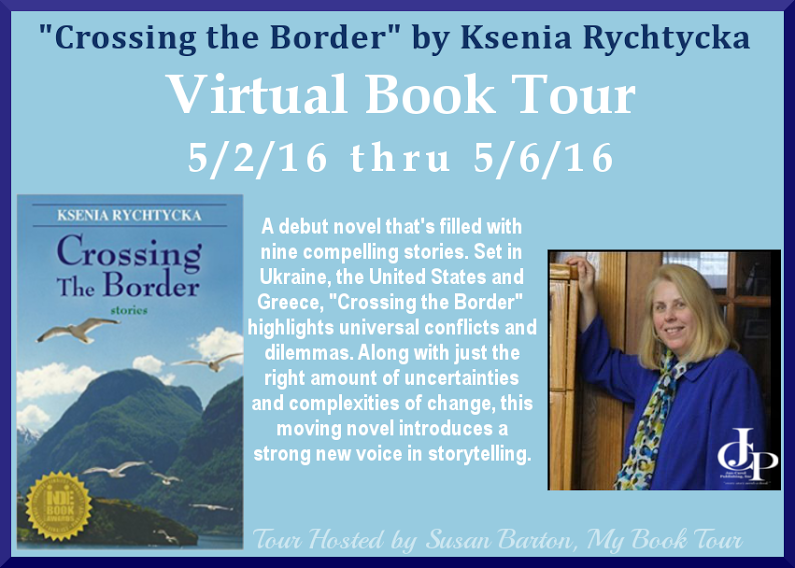 These nine stories-set in Ukraine, the United States and Greece-highlight universal conflicts and dilemmas, along with the uncertainties and complexities of change, and introduce a strong new voice in storytelling. Ksenia Rychtycka was born in Chicago and raised in Hamtramck, Michigan, where she spent large amounts of time riding her bicycle through the Ukrainian- and Polish-speaking neighborhoods. Years later she backpacked through twelve countries in Europe and worked as an editor in Ukraine during the early years of the post-Soviet era. Rychtycka's story collection Crossing The Border is a 2013 Next Generation Indie Book Award Finalist for Short Stories. Her fiction and poems have appeared in The Dalhousie Review, The Literary Bohemian, Wisconsin Review, Alaska Quarterly Review, Yellow Medicine Review, The MacGuffin, Twenty Years After The Fall (Parlor City Press), and elsewhere. 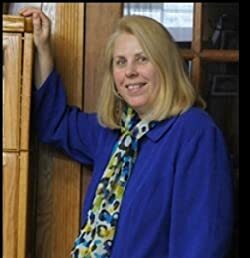 She lives in the Detroit area with her family and has an MA in Creative Writing from Columbia College Chicago. Amazon Author Page, and connect with on Twitter and Facebook.